This role primarily exists to support the development of the subsidence product by proactive enhancement of field operations/processes and ensuring the quality of all subsidence suppliers is to the highest standard. You will have extensive experience dealing with subsidence claims and previous experience of building strong working relationships. An important part of the role is to assist with any site visits required and to manage escalated claims in the field and provide office assistance where required. The Subsidence Specialist (field-based) is accountable for assisting in the progression of subsidence claims and as such, is a pivotal member of the Professional Services department. This will be achieved by using your expertise and experience to guide the Subsidence team in the wide variety of tasks and processes involved in the claims process, and taking remedial action to mitigate risks that may arise. You will be the main technical point of referral for the Subsidence Team and our subsidence suppliers and will involve true innovative input to the future development of our subsidence service. Home based and working with our network of surveyors/engineers, suppliers and internal staff to support the growth and continued success of the Subsidence product. Work closely with the Head of Surveyor management to ensure our surveyor network are adequately resourced, trained and competent to undertake subsidence surveys. Work closely with our Head of Supplier Management to ensure our supplier network is adequately resourced to service our clients, are adequately trained and competent to undertake subsidence. To undertake quality review of surveyor compliance to process and quality/performance through audit, coaching and production and delivery of bespoke workshops as necessary. To take ownership for and manage all technical aspects of any escalated claims necessary to progress a claim to conclusion. To motivate and help develop the subsidence suppliers (surveyor/engineers and specialist contractors) lead by example and be able to demonstrate engagement of the network. To complete regular process and WIP reviews with the team and to manage resulting issues. To be involved in the review and understanding of MI reports and to assist with the improvements where required. To take a lead role to ensure the network demonstrate compliance in terms of process and quality of works. To manage the technical aspect of any complaints in the field in accordance with the agreed escalation process. To support the Subsidence team in the progression of claims as required and provide technical direction. To manage the completion of all tasks within service level agreement timescales as specifically set by the client or the company. To proactively monitor own workload and prioritise action where required. To own the resolution of issues within own area of influence and encourage others to do the same. To work at all times lawfully and in accordance with pre-defined regulatory, compliance and financial requirements e.g. Data Protection, Code of Conduct, Health and Safety, General Insurance Standards Council and Financial Conduct Authority standards. To act as Duty Manager on a rota shift basis. To undertake any other tasks in line with business needs, as reasonably requested by your line manager. Location of Role: Home-based with travel to various sites. Some travel to our Taunton office may also be required. Working Conditions: Monday – Friday and flexible in line with business needs. The majority of your hours will be worked during core business hours. Promotion and Training: Promotion and training opportunities available through our Learning and Development team and Evolve model. You will also be coached and mentored by the PMC and Subsidence Manager. Other Information: Computer products include Microsoft office, Synergy platform, etc. As a firm, we believe all individuals should be customer service driven, with a real passion for working with people. By providing innovative solutions and being engaging, teams are motivated to achieve results and provide the excellent service Claims Consortium Group is recognised for. Individuals should be driven, approachable and also flexible to work the hour’s necessary and help other employees, in order to fulfil service needs. Claims Consortium works at all times lawfully and in accordance with pre-defined regulatory, compliance, company policy and processes and financial requirements e.g. Data Protection, Code of Conduct, Health and Safety, General Insurance Standards Council and Financial Conduct Authority standards. · The role requires a chartered Building/Engineering qualification including C.Eng, CIOB, ICE, RICS, etc. and membership of CII or CILA would be an advantage. · Deep knowledge of the principals involved in the construction, repair & maintenance of domestic buildings is essential, within the subsidence arena. 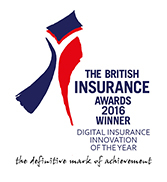 · Ideally, a recognised figure in the insurance claims profession with some important existing client and contemporary relationships. · Experience of working in subsidence, operational teams in the insurance claims industry. · Experience of providing management reports. · Experience of ensuring that all internal/external correspondence and system updates are accurate, clear, concise and appropriate for the intended audience. · To work with others to effectively manage prevention and resolution of complaints. · Ability to proactively plan and implement change. · Hard-working, flexible, adaptable and able to use own initiative. · Excellent organisational and prioritisation skills. · Able to work logically and remain calm when under pressure. · Remains focussed when dealing with a variety of tasks and issues. · Manages own time and can work on own initiative effectively. · Remains positive when dealing with difficult people or situations. Aptitude Consistently demonstrates an ability to do their job to the expected standard. Attitude Displays a positive, customer, client and team centred approach to their work. Understands the importance of the customer and demonstrates good listening and empathy skills but enjoys working as part of a successful team. Is personable and well presented. Intelligence Comfortable with the intellectual requirements of their role but wants to continue to learn and develop. Is keen to apply their skills in a new working environment and has the ability and desire to learn additional construction, insurance and service skills. Contributes ideas and can adapt to changes to enhance the overall success of the Company. Integrity Displays honesty and integrity in all their professional activities. Intensity Able to maintain a productivity level and job focus expected of someone of their experience, knowledge and qualifications. Is proactive and looking to drive through innovation.